Testimonials G4 Guitar: " I am finding the lessons very good"
" I am finding the lessons very good"
As emailed prior to Christmas, I have started lessons at Penrith with Michael Essery. I completed the first 2 lessons before Christmas and start back tonight for my 3rd lesson. I am finding the lessons very good and have got back into steady practice using the G4 practice log to record practice times. I am also keeping a more detailed record of time spent on each skill each day. 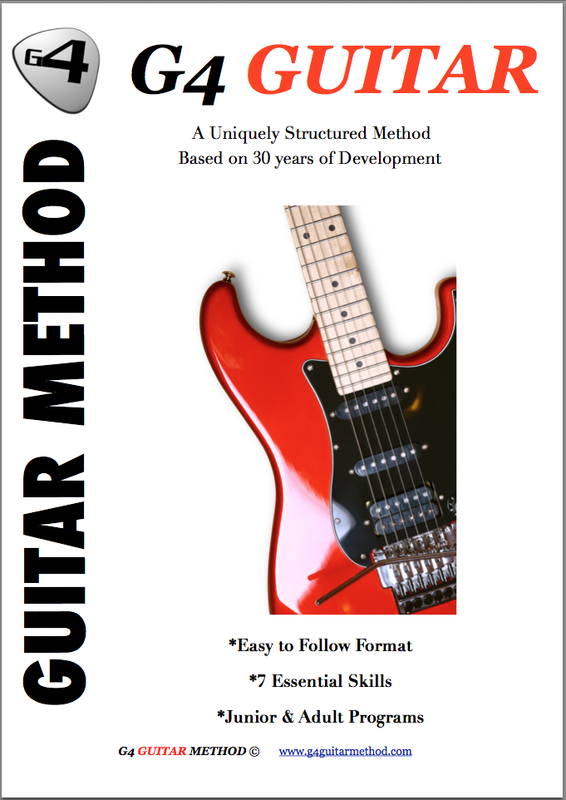 I have been trying to teach myself the Guitar from books for the last 3 years with no success. I found chords very difficult and ended up just learning some songs from tabs but never got the rhythm correct. I would practice for 2 months and than stop for 2 months due to frustration. The first thing Michael did was show me the classical position for guitar playing, which has greatly helped with chords. I was self taught and ended up playing with the neck below the body which restricted my wrist and made the chords very hard to form and put a lot of pressure on my wrist. I am now trying to start all over with this new position. I am so far very happy with Michael's teaching. I would love to play the guitar and understand rhythm much better, and just hope that at 60 years old I have not left it to late. "He is really enjoying his lessons"